We always want more than what we’ve been given. Mascaras come in a different formulas in order to satisfy what we want. There are ones that make lashed thicker, longer, and curl more. Mascaras also come in waterproof formulas as well as different color shades. How do choose the one that’s right for your lashes? There’s no need to be restricted to just one mascara. Having a different ones for whatever occasion might pop up, comes in handy. Your everyday mascara should be simple and fuss-free. Covergirl’s Lash Blast ($6.94) is good for everyday use. It adds volume and length without being over dramatic. 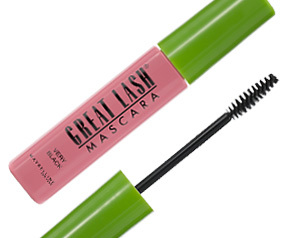 Maybelline’s Great Lash Mascara ($3.94) is also a great everyday mascara. It lengthens a lot without the thick layering. There are also those occasions where waterproof mascara is necessary. Although makeup shouldn’t be worn to water parks and the beach, a little waterproof mascara can open up your eyes without the worry of possible smudges throughout the day. Maybelline’s waterproof mascara ($3.00)doesn’t cost much, but it will last you all day. Adding a little color can do more than brighten your day. Benefit’s BADgal Lash Mascara ($19) gives you color options. They have a blue mascara which is one of my favorites. The royal blue color pops instantly when you open the tube but it’s actually quite subtle when applied to the lashes. The blue helps the white from the eyeballs stand out and make your eyes appear wider. Who doesn’t want to look Pretty in Pink? 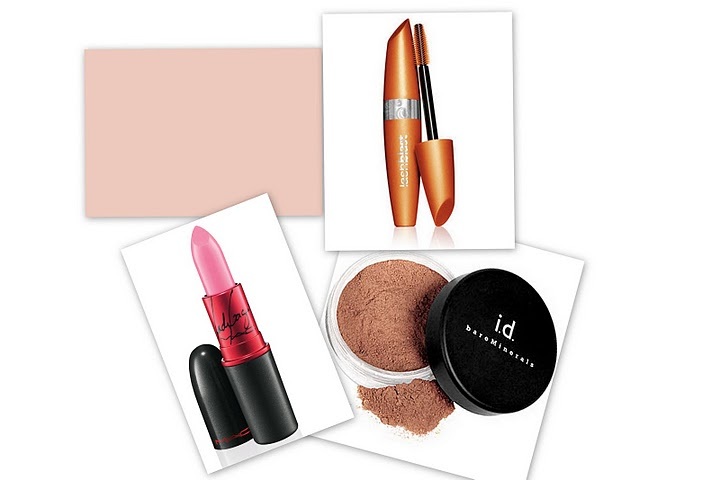 This summer put the lip gloss down and pick up a bold color. Pink shades are not only pretty; they can also take your look from blah to bam! If you haven’t done so already to a matte lip. Matte lipsticks are classic and should be worn with confidence. Try Gaga or Snob from Mac Cosmetics. They’re the perfect shades of pink and will look great on just about any skin tone. More and more we’re seeing pink lips take over the red carpet and being that it’s such a bold color; dramatic eye makeup won’t be necessary. If you’re not quite ready to put the gloss down then try Bare Escentuals Buxom Lips. My favorite color of the moment is Kanani. The color will make any outfit pop. Buxom lip gloss lasts all day without being sticky. It also leaves your lips feeling minty fresh. For those stuck in between gloss and lipstick, try what I like to call the “training bra for lipstick”. I’m talking about lip stain. Lip stains are a great transition to lipstick. They’re not as in-your-face as lipstick. Covergirl has a selection of them to try if you’ve never used it before. Their Outlast Lipstain looks and feels as if you’re writing on your lips with a magic marker. Who says you can’t act like a kid again?